WordPress Peace of Mind Service -- Backups, Security and Updates. Yellow Square Development Ltd.
What would happen if your website disappeared? How about if it is blacklisted from Google? If this happened to your site, how would this affect your business? Looking after your WordPress site means protecting it from unwanted attention. Protecting your business against such attempts is important. Being able to recover from these events is also important. Keeping your plugins updated is one of the best ways of keeping your site secure. Not updating your plugins can have a catastrophic impact -- the "Panama Papers" leak of March 2016 was caused by a vulnerable WordPress plugin. Why should you be wasting your valuable time on such matters when you have more important business to attend to – business that will make you money. 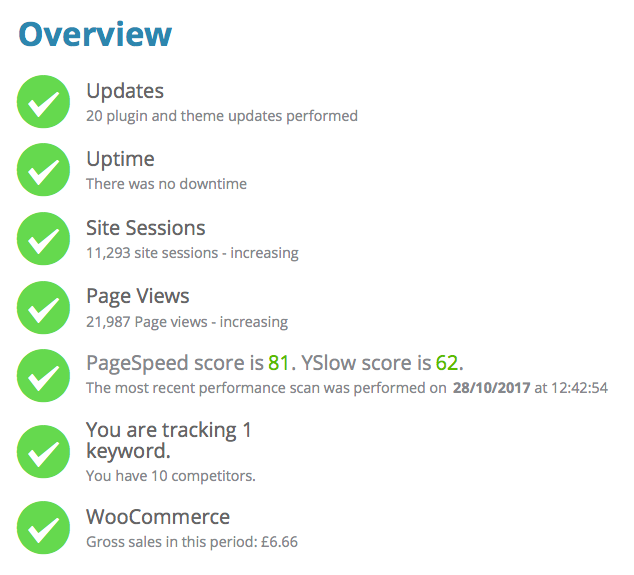 This is where the WordPress Peace of Mind Service can help. All of which keep your WordPress installation up to date, and mean that if the worse does happen, recovery can be quick and painless. Having such a system automatically look after your site is good enough, but for today only it is even better with 20% off the usual price – that’s a saving of £600 over the year. You pay just £249 per month! Don’t put off today, what could be a catastrophic for your business tomorrow. Start the Peace of Mind programme now – it takes seconds to sign up. P.S. I truly believe this service will be of benefit to your business. That’s why I offer a 60 day money back guarantee, if you are not at all happy with the service.